OLD PARKED CARS. 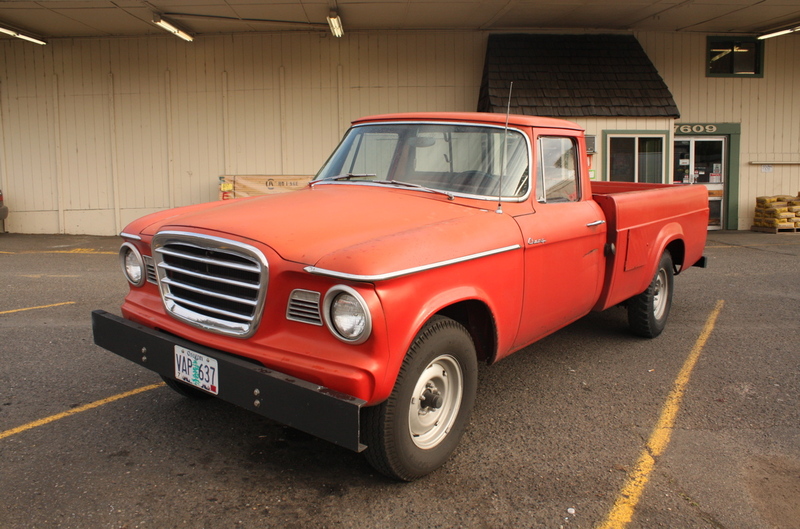 : Lark-based Pickup: 1962 Studebaker Champ. 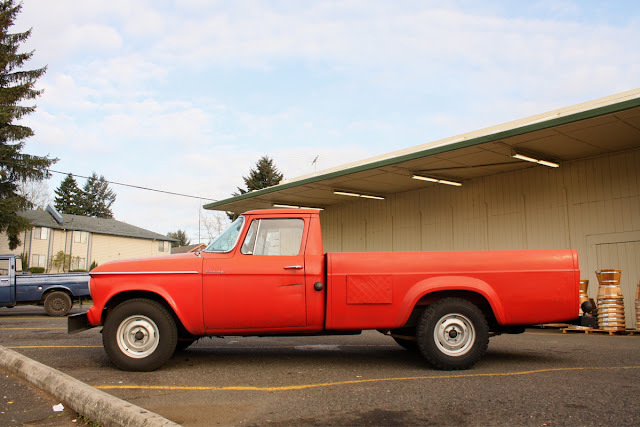 Lark-based Pickup: 1962 Studebaker Champ. 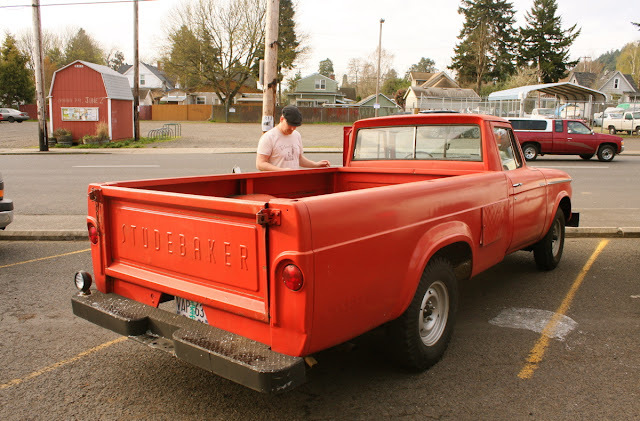 This charming PDX work rig (photographed at the lumber yard) has nothing to do with this San Francisco show car, except that they're both red, and I happened to spot them within a week of one another. 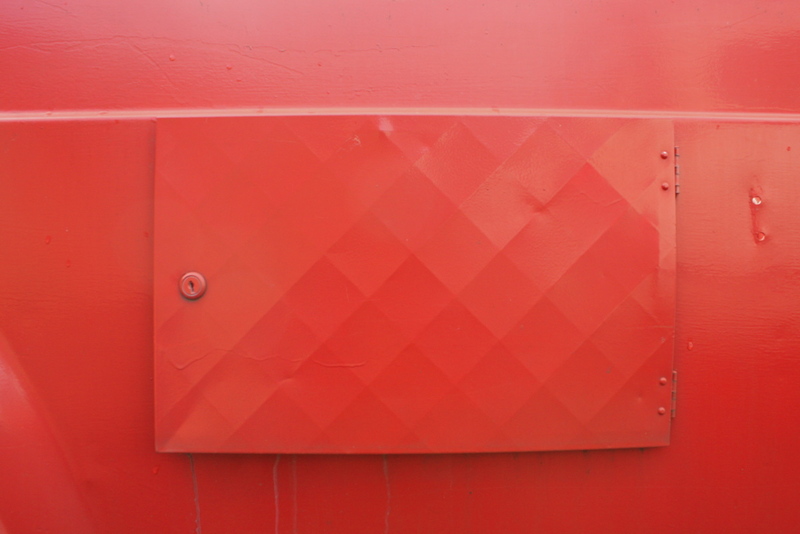 I didn't notice that the contoured access panel was on both sides of the bed until I looked at the photos tonight. Man, there's a lot of red on the front page. Nice. Love the way the little door is showing how the profile was created. Very nice. i like the fact that this is still a working truck. and not treated like it is a big deal. just a way to haul stuff. Good job, Tony. Another favorite of mine. It's interesting how these trucks developed. The first year (1960) they had the contoured stepside bed from the '48-'59 pickup. These ones and the three previous posts have the 'Sweptside' bed from the '59,'60 Dodge pickup. The bed is a little bit wider than the Champ cab, but they share the same beltline. Funky cool. What is the "X" in PDX? Never understood that. What an honest truck. Great color, love the steelies and snow tires on the rear.